There was a time when people believed that fish oil is the best source of omega-3. Although having fish oil every day gave rise to fishy smells and burps, people continued to have it on a daily basis. Thankfully, those days are gone. 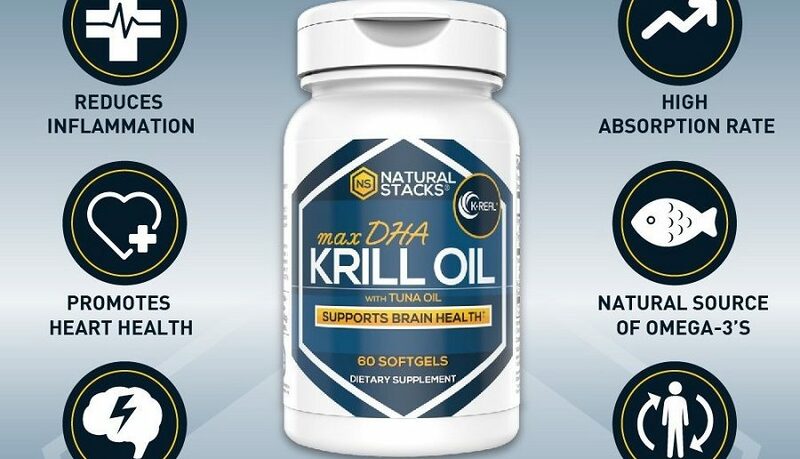 The better alternative to fish oil is krill oil. It is a better source of omega-3 fatty acids and according to tests, your body can absorb krill oil faster than fish oil. There are several products rich in krill oil available in the market. However, which one to choose and which ones to avoid is a tough question to answer. 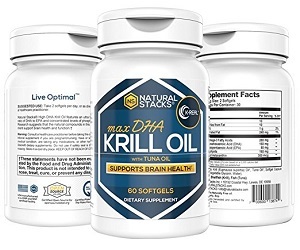 One of the popular manufacturers of various types of health supplements, Natural Stacks, also has its own krill oil supplement for its consumers. It contains astaxanthin, which is a powerful antioxidant. This ingredient helps the cells of your body from all the free radicals that can easily damage the healthy cells. It also boosts your natural immune system and your overall cardiovascular health. The product is made with natural ingredients which are harvested and cold-pressed in order to preserve the biological benefits. In the later stage, the krill undergoes a purification process in order to make sure that it contains no toxins or impurities or metals. The products also contains both DHA and EPA, which are types of omega-3 fatty acids. These contain anti-inflammatory properties that can go miles in helping you reduce joint aches. Along with that, DHA is also useful in helping with your brain functions and EPA helps to boost your mood and prevent frequent mood swings. The presence of DHA and EPA provide almost immediate relief from joint aches. Does not have any type of fishy smell. The size is small enough to help it go down your food pipe smoothly. No presence of gluten or artificial colors. The capsules may break very easily if mishandled. Although there are several similarities between fish oil and krill oil, there are several differences, as well. Some of them have been listed below. Although both krill and fish oil contain high amounts of omega-3 fatty acids, those found in fish oils are bound by triglycerides and those in krill oils are bound by phospholipids. The latter is very simple for your intestines to absorb. You will find astaxanthin in krill oil, which is a potent carotenoid. It can benefit your body in a number of ways. It also acts as a free radical scavenger, which ensures that the krill oil remains as fresh as possible when you consume it. Krill is harvested in pristine waters and thus, does not contain any oceanic toxins. At the same time, krill oil comes with a shorter lifespan. It is always a good idea to start having krill oil. However, if you are on some medication or if you are pregnant or nursing, it is always better to seek proper medical advice. 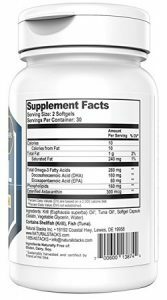 Choosing the right type of krill oil is also important so be sure to check out our Best Krill Oil Reviews page.